*Note: My feet are very strange and particular to certain shoes/insoles, etc. In fact, ALL feet are different, so what might work/not work for me may work for someone else. Use whatever feels right for you. Sorbothane®, a one-of-a-kind visco-elastic polymer, was first introduced in 1982. 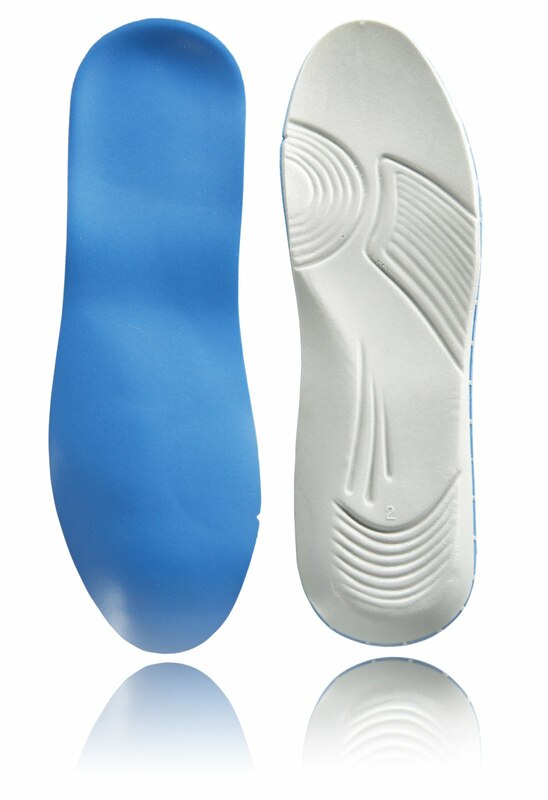 Primary applications included the development of shock absorbing insoles for the athletic and orthopedic markets. Since its introduction Sorbothane® has been used in many varied energy absorbing product categories. Sorbothane® Inc. engineers supplied the NASA design team with a unique Sorbothane® isolator to protect shuttle cameras during launch. The Liberty Bell was successfully moved using specially designed Sorbothane® isolators. When Wilson® Sporting Goods needed a superior shock absorber for their new line of high-tech baseball gloves, they turned to Sorbothane®. Most recently, engineers have devised a series of colossal "ball-in-box" Sorbothane® dampers designed to dissipate wind energy in the new Air Force memorial. Sorbothane® is the only insoles material that absorbs up to 94.7% of impact shock; and unlike standard insoles, which can bottom out and lose effectiveness, Sorbothane® Insoles retain their support and comfort, month after month. Lightweight and durable, they also breathe, which makes for a much cooler insole. "A performance replacement insole featuring a cupped heal and molded arch for stability along with Sorbothane® inserts for foot-strike protection. The Ultra Work Sport™insole works well in athletic shoes, work shoes and boots." 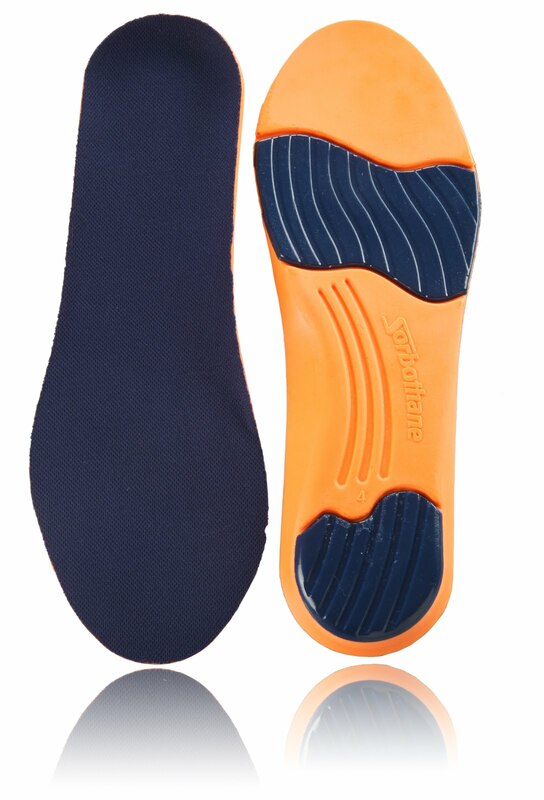 "Designed for the fitness minded, SorboAir® insoles are 100% air-infused Sorbothane® from heel-to-toe. Contoured, lightweight support and superior Sorbothane® comfort and protection." * They seem really sturdy, compared to other gel insoles. * They actually fit in my shoes! The first thing I noticed once I slipped these insoles in my Brooks shoes was that they are a little thicker than my normal insoles. My feet felt more cramped and I had to loosen the laces quite a bit. No biggie, I thought. During the run, I couldn't really notice a difference comfort-wise, however, towards the end of three miles I did notice that my feet were getting a little numb. Are my shoes still too tight? I loosened the laces some more and kept going, but my feet didn't feel any better. Very strange. The next night I tried the Ultra Work Sport™insoles and had that exact same problem: numb feet. So I decided to just try these insoles in my regular walking shoes and guess what? No numb feet! In fact, my feet feel amazing using these insoles for walking or standing for long periods of time. The cushion is just right and my feet don't feel as fatigued as they do with the normal insoles shoes come with. Now, I regularly use the Ultra Work Sport™insoles in my walking shoes because they are a tad bit thinner/lighter than the normal SorboAir® insoles. Insoles are a little "heavy"
I've tried other insoles for my walking shoes (i.e. Dr. Scholl's) but after a while, the material goes flat and it doesn't support my foot anymore. The RxSorbo insoles have been holding up a lot better and I can see them being a great investment for long-term wear. Here's a chance to score your own pair of Sorbothane® Ultra Work Sport™ Insoles! A giveaway! One person (male or female) will get to try out these insoles courtesy of RxSorbo. The giveaway will end Friday 6/4, winners announced on Saturday the 5th. RxSorbo will ship the merchandise directly to the winner. Simple as pie! Hmm, that's interesting about the amount of space they take up in your shoe. Do you think you would get used to it? I had an awkward period when the ortho put heel lifts in my shoes, but it got better. Of their products, I think I would like the Work Sport version. All linked up at Mom vs. Marathon. PS: How are you? We need to have lunch soon or go for a run or something! I am a Follower...half a step behind come January :) HUGS! Thanks for the giveaway...I would want to get the Ultra work sport insoles! I have high arches so the insoles that come in shoes usually need an "upgrade". Either the Ultra Work Sport or the Ultra Orthotic Arch Insoles sound like something my feet would love! That's interesting about the insoles feeling better in your walking vs. running shoes. I wonder why that is. I would like to try the Ultra Work Sport insole. I think it sounds like the best one for me. 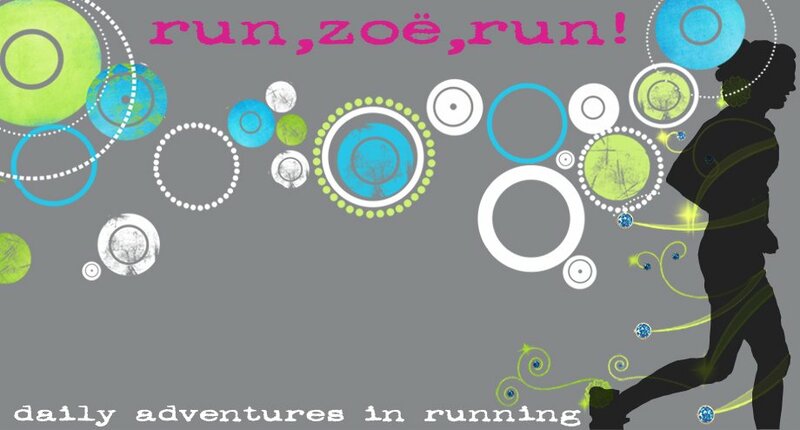 Hi Zoë, nice blog & good post. You have beautifully maintained it, you must try this website which really helps to increase your traffic. hope u have a wonderful day & awaiting for more new post. Keep Blogging! I have had shin splints ongoing and so when I saw on the home page that these soles can help.... I am game! I like the SorboAir insoles. future of Watches Replica gap that announced the full power to look at the platform.Sensors, software, and in new platforms, including cloud storage backup, these three Designer handbags brand has launched three new handbagreplica . Everyone there is a decoration with another style, fitness tracker also like the use the same kind of sensor to track your exercise and sleep. UK Replica watches. we, in the past few years, has not been a typical smart Replica Rolex Watches so that what is seen.